Everyone has different style and color preferences when it comes to metal roofing materials. We guarantee we have something that will suit your personality and complement your home or business perfectly! 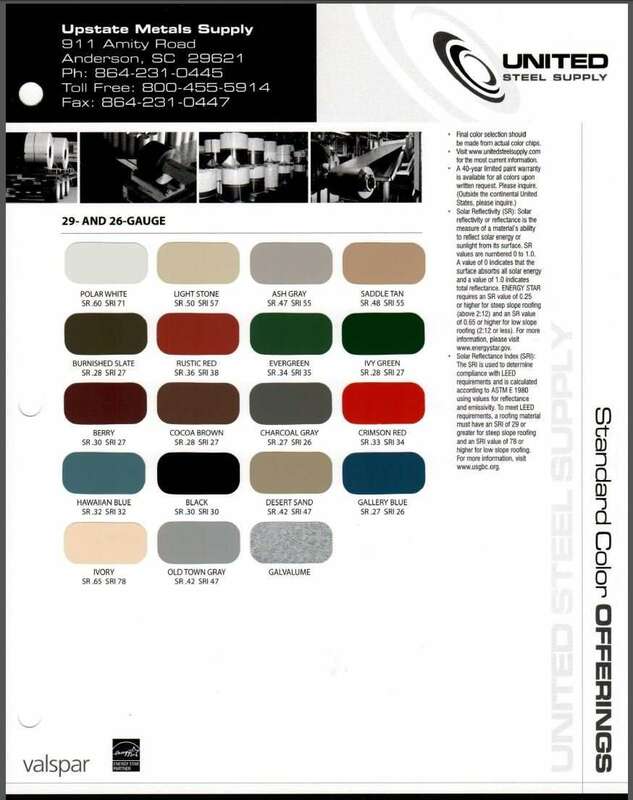 Take some time to examine the color options we have for your new metal roof panels. Due to variations in computer monitors, we recommend referring to a color card or paint swatch to ensure accuracy.